YG Entertainment co-representative. Seo Taiji and Boys' former member. Plan, and now YG Entertainment. After launching the group Keep Six under the Present Plan, after experiencing a huge failure, he released and succeeded with Jinu Sean and 1TYM. Thus, he decided to turn to the hip hop genre as his base. The singers such as Lexi, Wheesung, Gummy and Big Mama went though Yanggung Plan and became representative singers in Korea. He achieved constant success through Seven, Big Bang, and 2NE1 and YG Entertainment and Yang Hyun Suk's shares rose as expected. In recent years, while Winner, IKON, BlackPink, and AKMU are playing key roles in YG Entertainmen, there are also LeeHi, Jinu Sean, Sechs Kies, who added to the company. He also secured 38 stars in the acting world including Choi Ji Woo, Kim Hee Ae, Jung Hye Young, Cha Seung Won, Kang Dong Won, Son Ho Jun, Yoo Inna, Kim Saeron, Lee Sung Kyung and Nam Joo Hyuk. After his business has grown exponentially. Yang Hyunsuk's name became synonym of a wealthy shareholder of the entertainment industry. Right now, his stocks are close to 160 billion won. Not only this, he also owns a huge real estate near Hongik University. He has earned wealth and honor, but he also has a lot of criticism. It includes the controversies regarding the artists in his agency, as well as the recent JTBC' Mix Nine ' controversy where he was criticized of verbally abusing the participants, YG Entertainment is also receiving major criticism from the fans regarding the fact that Yang Hyunsuk single-handedly decides whether his artists promotes or not. In addition to this, the frequent drug scandals from his company's singers, and the way he tries to always neglect and run away during an accident or a scandal, while treating those instances as if he's not responsible for them, is receiving a big spotlight right now. There has been unending suspicions about his alliances with the political sphere. One of the criticisms of YG Entertainment is the attitude of not publicly apologizing to the public even if it stirs societal issues and controversies. Yang Hyunsuk was at the time the representative dancer of Korea due to the astronomical success of Seo Taiji and Boys. As Seo Taiji and Boys succeeded, he also secured his position in the entertainment industry and built his career from this stepping stone. Their representative songs include "I Know", "You, In the Fantasy, "Come Back Home" etc. Rap, dance, heavy metal, the group left a great legacy in Korean's pop music industry. Yang Hyunsuk was in charge of rapping and dancing in Seo Taiji and Boys. His dance was his trademark. Even now, Seo Taiji and Boys' members still maintain contact with Yang Hyunsuk and they have preserved their close friendship. YHS established YG entertainment with his dongsaeng as a co-representative. While YHS takes responsibility of the whole production, Yang Minsuk runs the overall management and operatoins of the company. In addition to YG Entertainment, he is also the head of YG K+ a branch company in charge of fashion, food and drinks, cosmetics, etc. He also runs in combination with Naver, the music platform "VIBE", managing the supply of physical albums and physical sales business. He's the main agent in the business diversification initiatives. 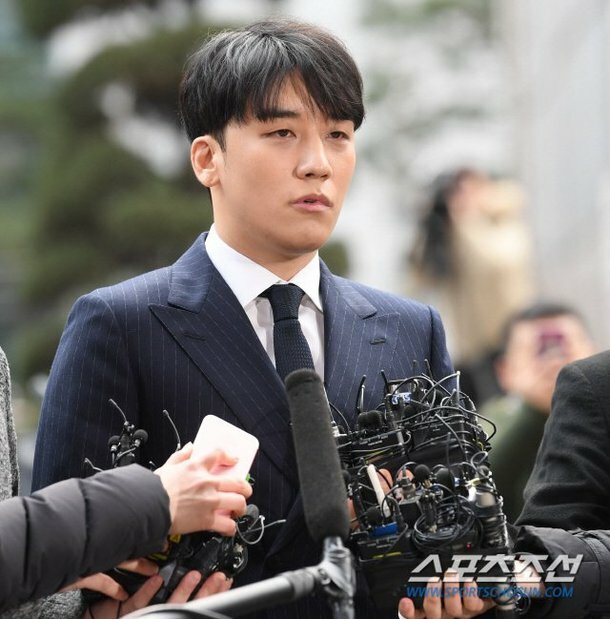 He's been revealed that he was meshed with Seungri's Burning Sun gate widening recently. It was revealed that the owner of Seungri's Hongdae club "Love Signal" was owned by him and his hyung YHS. Although YHS claims that there is no relationship between his artists' business and his company, there are indications that shows that he owns 70% of "Love Signal"' stocks, through a corporation A while the other 30% is owned by Minsuk. YG entertainment's music gravity and center. YHS even claims that "Teddy reflects YG's identity [through his music]". He's the representative and originator of YG's hit songs. It's not an exaggeration to call him the person who gave YG entertainment their color. He made his debut as 1TYM in 1998 and promoted as a singer, but he later turned into a producer and released many songs. The majority of the songs released through YG are made by Teddy, hence, he has always been one of the top when it comes to loyalties and copyright incomes. He also works as the executive producer for BlackPink. Currenlty, he works under YG's sub-label The Black Label. YG Entertainment's main income and issue maker. They're regarded as the one top in the KPOP industry gaining popularity with the general public through their music. Leader G-Dragon (Kwon Jiyong), TOP (Choi Seunghyun), Taeyang (Dong Youngbae), Daesung (Kang Daesung) and Seungri (Lee Seunghyun), they're a group of 5 members who released hit songs such as "Lie", "Last Farewell", "Haru Haru", "Bang Bang Bang", "FXXK it", "BAE BAE", "Fantastic Baby" etc. They're famous from their fashion to their music, they are a group that sets the trend. The 5 members solo activities have also been a success, every song has been in the charts. They are called the #1 digital sales in Korea. As a result, it was suspected that YG would get a huge hit in sales once they enlist in the army. However, from drugs to car accident, they have been causing bigger and bigger controversies heading towards the wrong path. G-dragon's drug scandal and plagiarism controversy, TOP's smoking marijuana, Daesung's car accident, and right now, Seungri's Burning Sun gate that is shaking Korea right now, to the prostitution claims, and tax evasion claims, etc. Despite their controversies, they still stand tall as YG's biggest group. One of the biggest figure behind YG's crisis right now. In the center of her gate is her niece Jang Siho (Jang Yoojin) who joined YG entertainment in 2016. At that time, PSY who used to be in YG at that time, built Haori soccer team and it was rumored that she was part of that soccer team. It was revealed that Choi Soonsil's unnie, Choi Soondeuk had great influence in Haori soccer team, which was a soccer league for celebrities. It all began when An Minseok, a member of the democratic party (t/n: AKA President Moon's party), claimed that Choi Sunsil and Jang Siho have infiltrated the entertainment industry and gave preferential treatment to certain celebrities. At that time, YG entertainment announced in a peculiarly fast manner that all this was just rumors. However, it was controversial because at that time, Yang Minsuk, who is the representative of YG entertainment, was appointed by (at that time) President Park Geunhye's Culture Fusion Project "Culture Prosperity Committee", and PSY also performed at the inauguration of the committee, which became a huge controversy. One of the prominent figure in Choi Soonsil gate, director Cha Euntaek, was also the one who directed Bigbang's "Lies" and PSY's "Hangover", as expected, serves another basis between the connection of Park Geunhye and YG. Moreover, YG K+'s building, the Miseung Building, is also owned by Choi Soonsil, which further adds depth in the controversy. There was also suspicions about the Uijeonbu Comprehensive Cultural Complex project that was given preferential business treatment to YG (t/n: they got the building without public bidding AKA illegally, and won over the Ministry of Culture, Sports and Tourism). It was really controversial because the Uijeonbu city claimed that "YG was the first to have been offered the agreement for the KPOP Cluster project. " YG entertainment's 2nd largest shareholder. In 2017, they have invested 100 billion won in YG, becoming their 2nd biggest shareholder. With this in mind, YG have established a cultural content subsidiary YG Studioplex. It was an opportunity to jump into the full-fledged production market by scouting the producers in the broadcasting industry. YG and Naver's collaboration have become more effective than they have pictured. YG was able to produce and distribute various contents based on Naver's powerful video platform. In recent years, they have also been running the selection of new faces through the official V-Live channel on Naver platform. The strategic partnership between YG and Naver have been envied by many entertainment companied, but it has also become an issue of concern regarding how YG have been abusing their power through Naver. Thanks to Naver, a lot of people was able to be exposed by YG's content when performing their search on the platform. A strong platform and competitive artist content, Naver and YG Entertainment continue to work together in win-win effects based on their strengths. So many intertwined threads, so little time. I just wonder if those who are doing the investigating of Burning Sun (to name but one of the scandal threads) will have the perseverance (or be allowed) to get to the bottom -- or the top -- of all the corruption.